I would like to share with you my new find, Garden Picks. 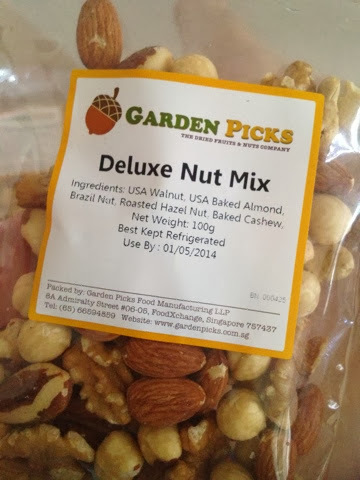 They were founded on the notion of bringing a wide array of healthy dried fruits and nuts to us in Singapore conveniently. I got these 3 for $10! 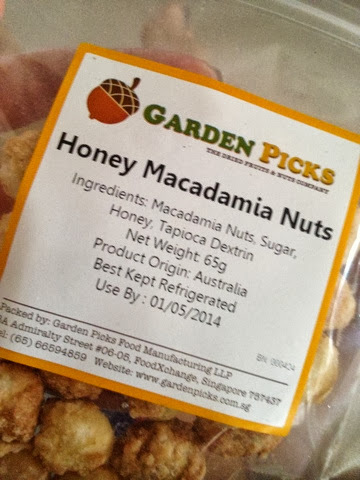 Macadamia is my personal favourite. A never go wrong selection. 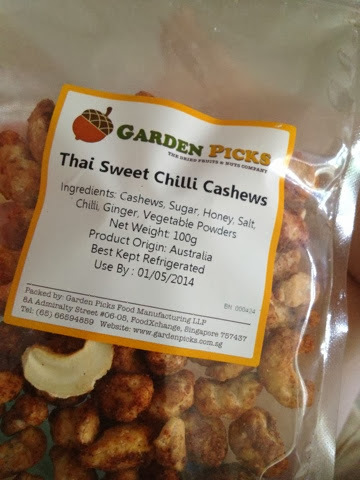 For a spicy feel, try this unusual flavored cashews. Made me feel like in Thailand. 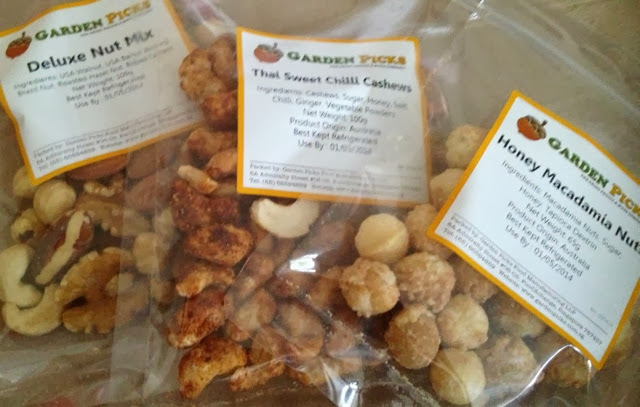 An assortment of nuts, likely baked/roasted for a healthy munch. Currently they are having a berry special offer at 3 packs for SGD$10! That's really worthy, considering how much you will need to pay normally for a pack of macadamias? Come on fellow snackers, let's go on a healthy crunch now! looks good! I will be snacking away too! Thanks for your great comments:-) Enjoy snacking.